If you are looking for inexpensive promotion you've come to the right place. 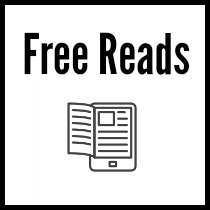 Do you have a permafree book or a KDP Select promotion coming up? Let us help you promote. Your listing will be posted on our blog, go out to our newsletter list, posted on our Facebook page, our pinterest account, and tweeted out through 3 book related twitter accounts. Is your book on sale? 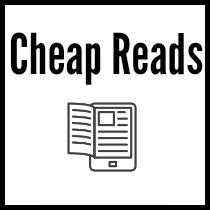 Our fans are looking for ebook deals! Your listing will be posted on our blog, go out to our newsletter list, posted on our Facebook page, our pinterest account, and tweeted out through 3 book related twitter accounts. Are you looking for a little more promotion? Try our 2 week Giveaway Promotion. We will promote your Instafreebie or Giveaway ($10 ARV prize) for two weeks. 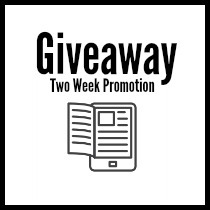 Your giveaway/instafreebie will be posted on our blog, go out to our newsletter list, posted on our Facebook page, our pinterest account, and tweeted out through 3 book related twitter accounts over a two week period.